After adding support for BlackBerry 10 a week ago, the Jack-O-Lantern app has now also added support for Windows Phone as well. 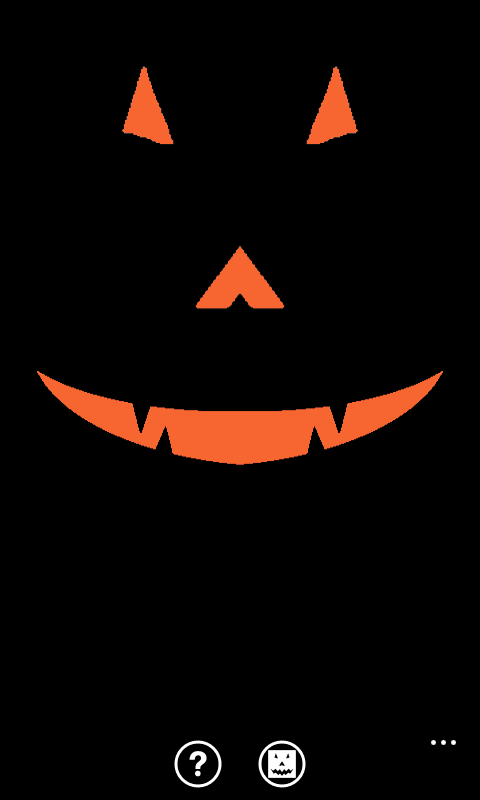 This application is designed to turn your phone into a virtual Jack-O-Lantern in order to help you celebrate Halloween. You can change the Jack-O-Lantern’s face by swiping in different designs from the left and right for the eyes, nose, and mouth. You can also change the back light colour of the design by tapping on the screen.